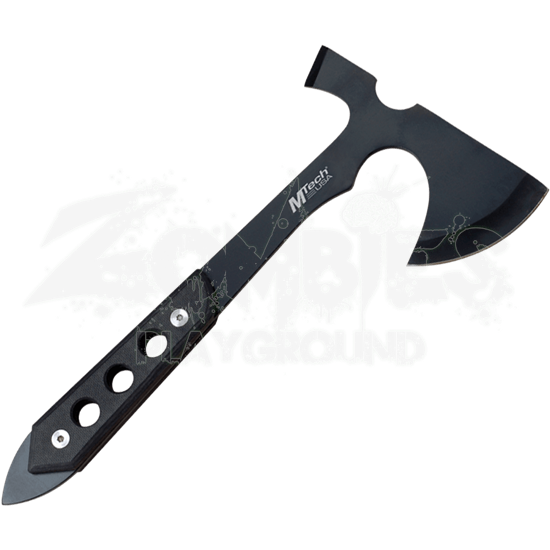 A forward-set blade makes the axe a legendary instrument of zombie carnage, even when they come in as small a size as this Tactical G10 Hand-Axe. Small size is a blessing in this axe because that makes it easy to handle and carry. The axe blade and haft is made entirely from a single piece of 440 stainless steel that has been tactically blackened to give it a more subtle profile. The axe bit has a gentle curve that enhances cutting ability, while still delivering a wicked chop. The reverse poll features a chisel-like blade for added utility and versatile use. Applied to the steel haft is a G10 synthetic grip that fits nicely into the palm and provides a secure hold. Three circular cut-outs run through the G10 and the steel, helping to reduce the axes weight, too. The tip of the haft ends in a gently curved point that provides an extra point of attack, if the need arises. Included with the black hatchet is a nylon sheath that makes carrying and storing the axe safe and easy. 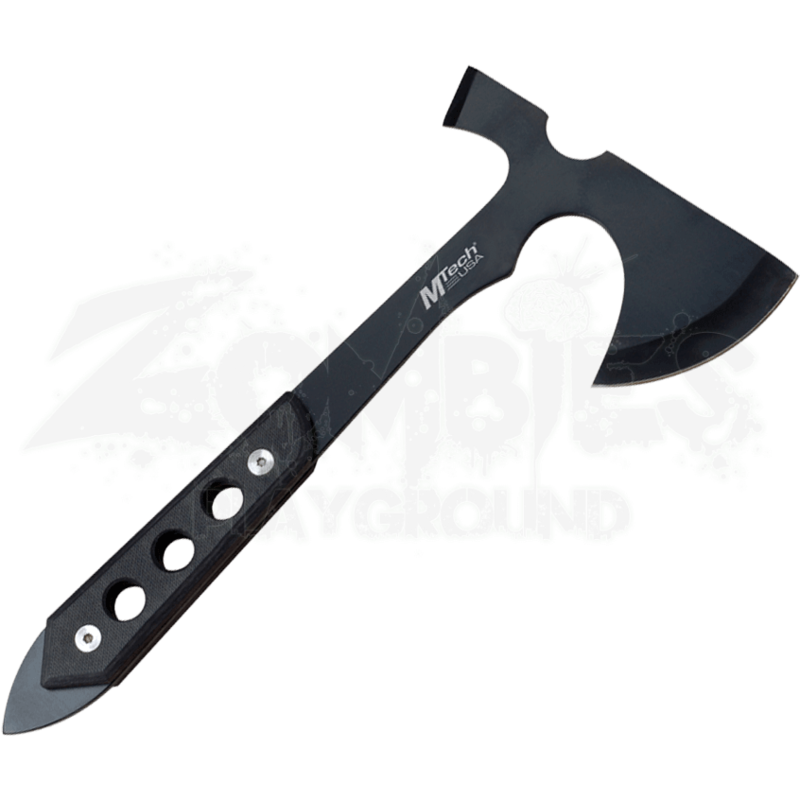 Kept safe and secure at your side, this Tactical G10 Hand-Axe is the weapon that they will not see coming, and in the more quiet moments, it will serve you just as well as a tool for survival as it will a weapon for zombie war.